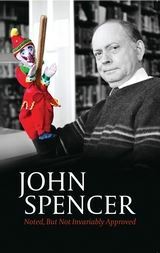 John Spencer has worked at Cambridge University for over 40 years. 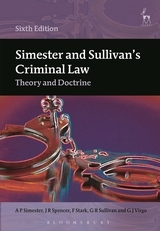 He has lectured, supervised – and entertained – students in tort, contract, crime, medical law and criminal procedure and evidence. This book is a tribute to Professor Spencer, but it is different from the usual tribute in that it contains case notes written and selected by the author himself and all published in the Cambridge Law Journal (CLJ) between 1970 and 2013. 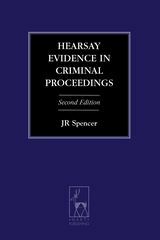 With the exception of one note, which is somewhat longer, the articles are taken from the case note section of the CLJ which, until fairly recently, imposed a strict word limit of 1000 words and no more (the complexity of the cases and the prolixity of the judges led to the CLJ relaxing this rule to 1500 words). The case notes reproduced here provide a master-class in the writing of incisive, engaging notes. 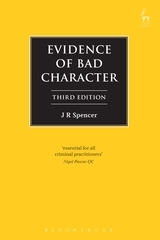 Written with students in mind but also intended for the consumption and edification of a wider audience, these case notes epitomise the way in which Professor Spencer has, for 43 years, cajoled, lambasted and encouraged the judiciary to see things his way. Tissue Donors: Are they Rescuers, or Merely Volunteers? Murder in the Dark: A Glimmer of Light? Acquitted: Presumed Innocent, or Deemed Lucky to Have Got Away with it? Spouses as Witnesses: Back to Brighton Rock? Is that a Gun in Your Pocket? Or Are You Purposively Constructive? Damages for Lost Chances: Lost for Good? Liability for Purely Economic Loss Again: "Small Earthquake in Chile. Not Many Dead"? Acquitting the Innocent and Convicting the Guilty – Whatever Will They Think of Next! Criminal Liability for Accidental Death: Back to the Middle Ages?